You are here: Home / dinner / Why Do Onions Make Us Cry? 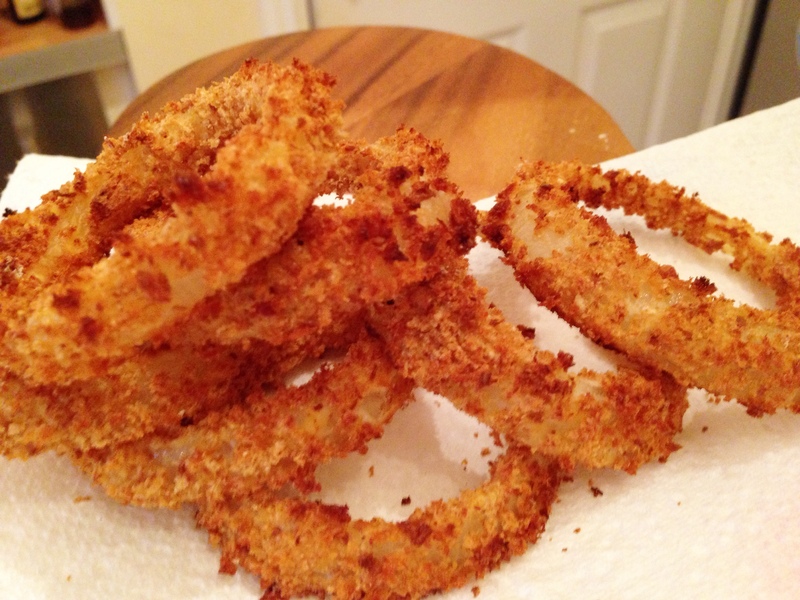 Onion Rings Have the Answer! Why Do Onions Make Us Cry? Onion Rings Have the Answer! Have you ever wondered why onions make us cry? 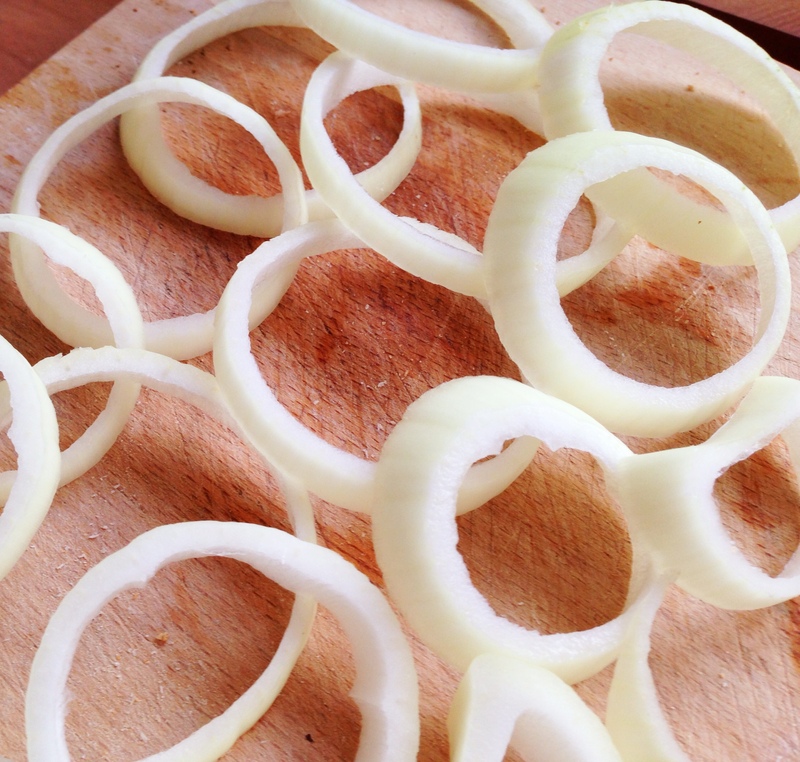 Let’s make onion rings and find out about those mean old onions along the way! When an onion is cut, the cells inside it are broken. When these cells are broken, an acid is released. This acid is now in the air, as a gas that you can’t see, and it travels upwards. When this gas reaches your eyes, it reacts with the water in your eyes. This reaction is what causes the burning sensation. The eyes release more water (or tears) to protect themselves from this evil acid gas. The tears are trying to wash the acid away. How Can We Stop the Tears? Use older onions–these are a little more dried out so don’t release as much of that acid. 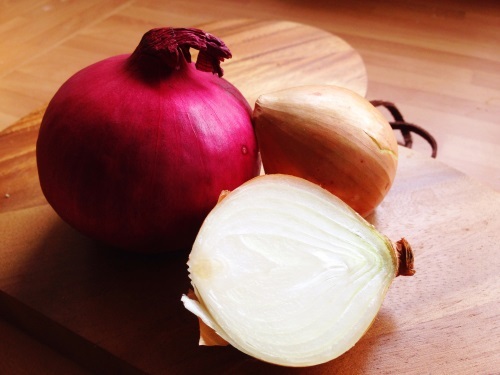 Use red onions–these don’t have as much of that acid inside them. Wear safety goggles or swimming goggles. Keep your onion in the fridge before you cut it. A chilled onion has a different chemistry and slows down the reactions. Only breathe through your mouth, not your nose. Some people put a wooden spoon in their mouth when cutting onions to help with this. The acid might still reach your eyes a bit, but it is worse if you breathe through your nose as you are inhaling the gas and taking it straight to your eyes. Can you think of any other ways to stop the tears as we make our onion rings? 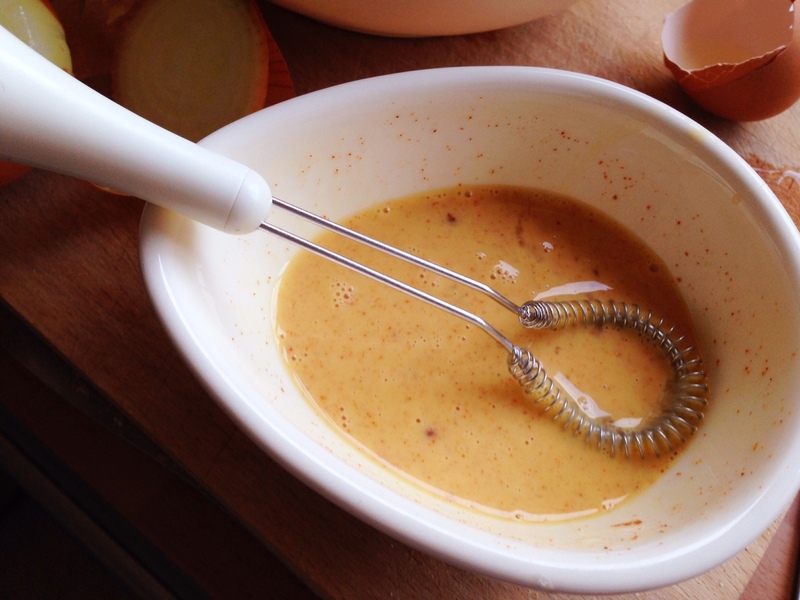 * Any will do, but we use wholemeal bread as it adds more fibre as well as colour. Use oldish slices of bread, and chuck it in a processor to make breadcrumbs. Preheat the oven to 220c, 425f, gas 7. 1. 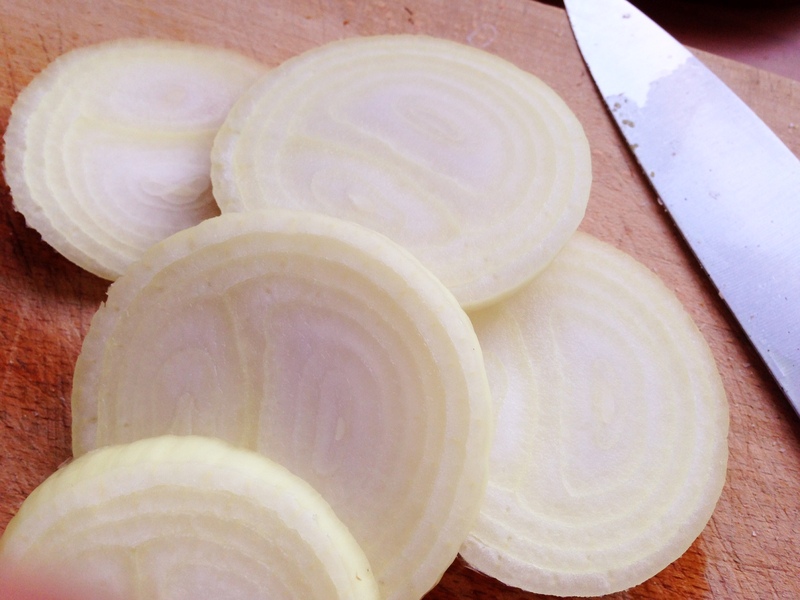 Get your grown-up to peel the onion, and cut it into round slices of about 1cm thick. 2. Now you need to separate those slices into individual rings. Most of the gas will have been released already, but you can choose a method to stop the tears as you do this, just to be sure. 3. 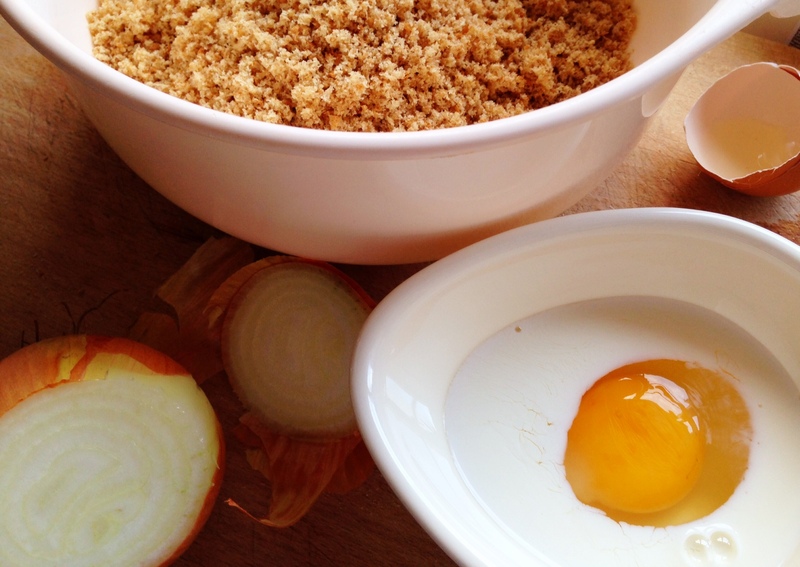 Mix up the egg, milk, and paprika in a small bowl, and put your breadcrumbs in a different bowl. 4. 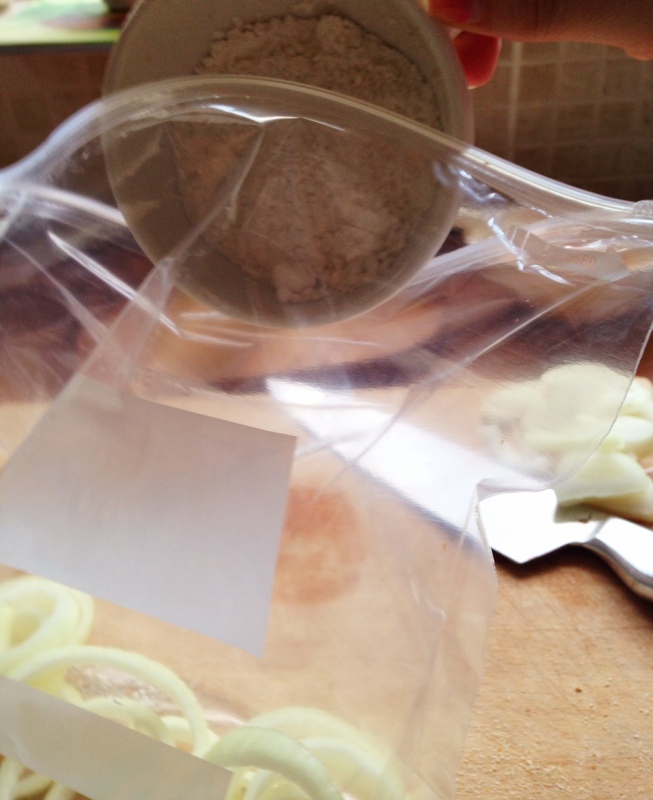 Put your onion rings into the food bag, and put in the flour. Seal the bag and shake it around to coat all the rings in the flour. 5. 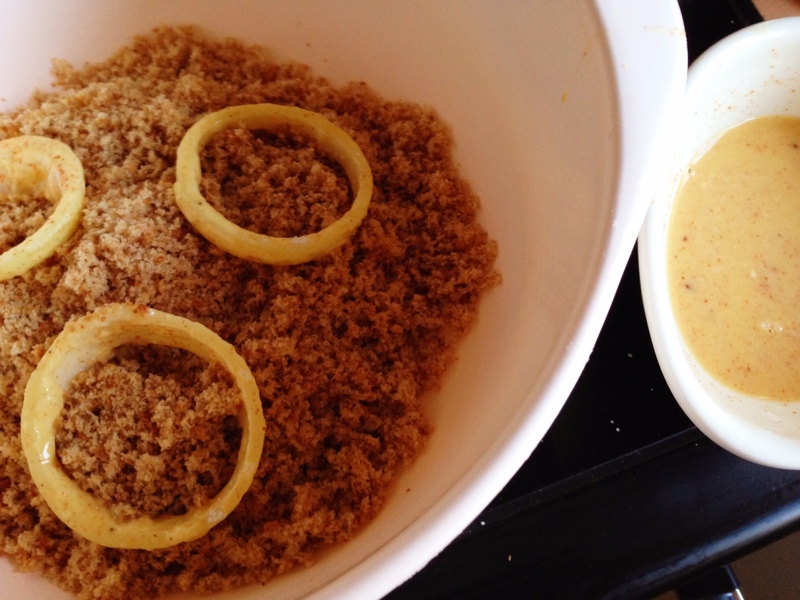 Dip a few rings into the egg mix, and then into the breadcrumbs. Turn them over and make sure they are coated in the breadcrumbs. 6. Carrying on doing this until you’ve coated all your onion rings, and put them on a baking sheet. Give them a quick spray of oil and then get a grown-up to put them in the oven for 12-15 minutes. 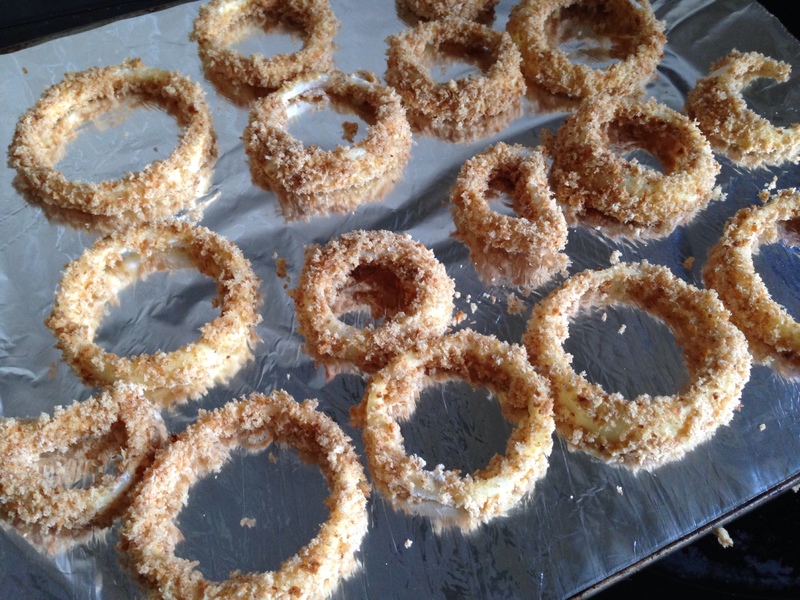 These oven-baked onion rings not only make a good science experiment they just so happen to be delicious and are much healthier than deep fried ones. Which way of stopping tears did you find worked the best? Did you find your own way of stopping the onion from making you cry? We’d love to hear your ideas. 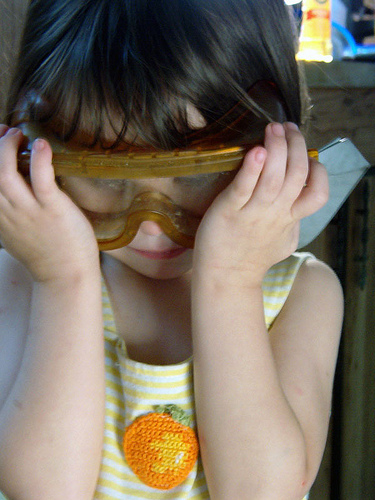 Thanks to oddharmonic for the safety goggles pic.